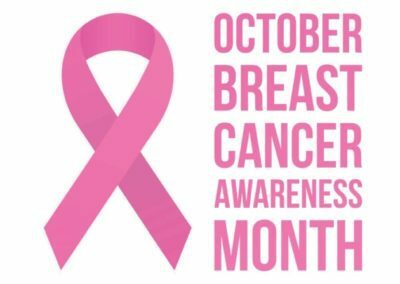 October is the month for breast cancer awareness. Global level efforts are directed at highlighting the importance of breast awareness, education and research. 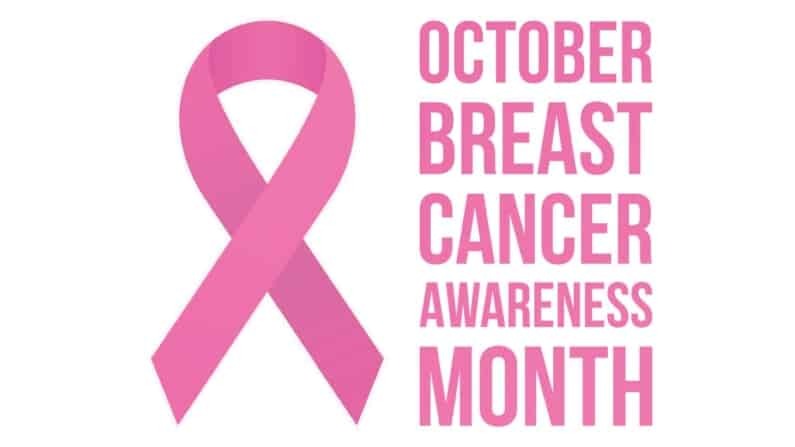 Today breast cancer is the leading cause of cancer in women both in the developed and less developed countries and its incidence is increasing. In India, breast cancer accounts for about 14% of new cases. It is estimated that 508000 women died in 2011 due to breast cancer worldwide. Breast cancer is not exclusive to women as men are also afflicted. However, when compared to men, breast cancer is seen in very high proportions in women than men. With regards to the causative factors, one of the most important aspects that need to be considered is familial history. Breast cancer increases the risk by a factor of two or three with familial history. Some mutations, particularly in BRCA1, BRCA2 and p53 result in a very high risk for breast cancer. However, these mutations are rare and account for a small portion of the total breast cancer burden. In addition to this reproductive factors associated with prolonged exposure to endogenous estrogens, such as early menarche, late menopause, late age at first childbirth are among the most important risk factors for breast cancer. Prolonged use of exogenous hormones also exert a higher risk for breast cancer. When compared with non-users, use of oral contraceptive and hormone replacement therapy increases the risk. Reports also suggest that 21% of all breast cancer deaths are attributable to alcohol use, overweight, obesity, and physical inactivity. Control of specific modifiable breast cancer risk factors as well as effective integrated prevention of non-communicable diseases that promotes healthy diet, physical activity, control of alcohol intake, overweight and obesity, could eventually have an impact in reducing the incidence of breast cancer. Breastfeeding has a protective effect and needs to be promoted. Breast cancer is one of the easily detectable cancer. The breast self examination includes regular and systematic palpation of the breast by a woman herself to assess for any abnormality. It is strongly suggested that after the age of 20, a woman must do breast self examination every month, and evaluated by a clinician, atleast once every two years till she attains 40 years of age. In addition to this, it is recommended that women above 40 years undergo clinical examination and radiological imaging using mammogram every year. Women should continue screening mammography as long as their overall health is good and they have a life expectancy of 10 years or longer. The American cancer society recommendations for the early detection of breast cancer varies depending on a woman’s age and include mammography, as well as magnetic resonance imaging (MRI) for women at high risk. Dr Suresh Rao the director of Mangalore Institute of Oncology (MIO) said that observations at MIO and other centers of India suggest that women as young as 30 years are also being detected with cancer of the breast. At MIO we believe that empowering women with knowledge and training in breast self examination is vital as this process needs to be done every month by the individual which is useful in detecting early changes in the breast. Efforts are always on spreading awareness of the disease in the community. This is because prevention is always better than cure and breast cancer where a growth of lump/cancer can be detected easily in early stages. Since its inception in the year 2011, MIO has been active in spreading awareness on breast cancer and efforts are made to educate people on the signs and symptoms. In addition to this MIO, has been undertaking cancer detection camps for detection of breast cancer. The results have been very encouraging as in addition to clinical examination and mammography, the women who have attended these programs have been taught breast self examination to spread awareness in their family, locality and society at large.